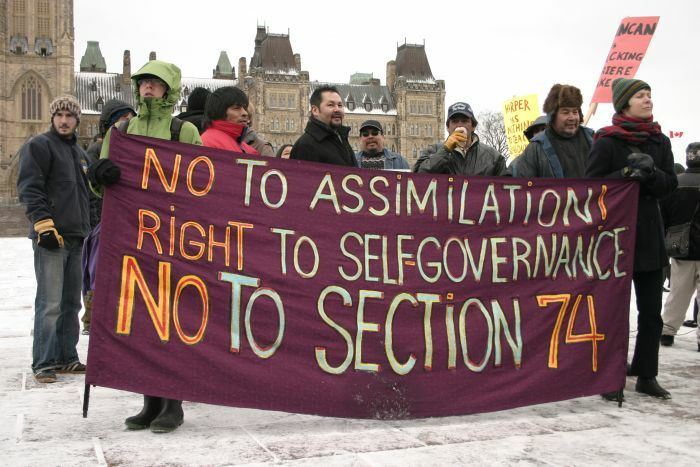 A mass demonstration by members of Barrere Lake First Nation and their supporters on Parliament Hill this afternoon (Mon Dec 13) was met by silence from Prime Minister Stephen Harper and Indian Affairs Minister John Duncan. Canada and Quebec are waging a war of attrition on a small band of 500 Algonquin Indians a few hours north of Ottawa. Today, this war has reached a critical juncture: its outcome will be a judgment on whether Canada is able to share the land with First Nations while respecting their right to maintain their cultures and determine their own destinies, or whether Canada can only offer resilient Aboriginal cultures a menu of assimilation, dependency, and cultural death.